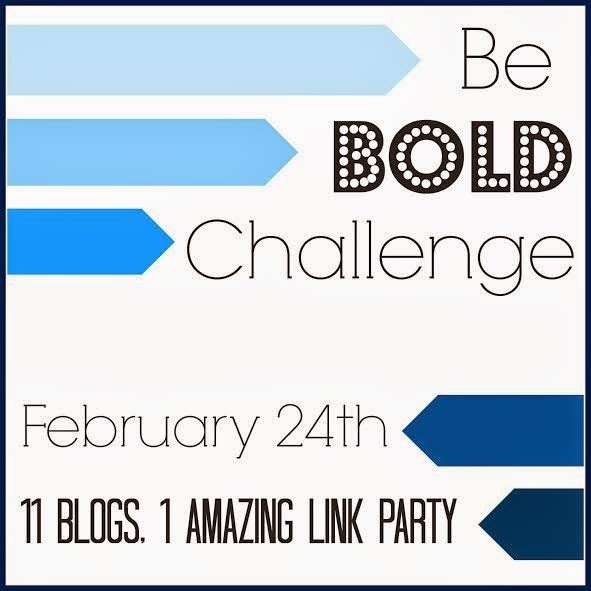 When Carrie over at Lovely etc asked me to participate in her Be Bold challenge, I was SO excited. Because, well, I love challenges. But, now, I must admit...I'm kind of nervous! What BOLD project will I come up with?! I have no idea (no, seriously, I haven't the slightest clue yet!). But, I still think it'll be a fun adventure and it is important to step out of our comfort zones from time-to-time. Or, so they tell me. The Be Bold Challenge began because I (Carrie of Lovely Etc) was sick and tired of not trying new projects just because I was scared of failure. This year, my goal is to learn to fail. To learn that it is really okay to try for something awesome and end up with something awful. It is easy to make sure you never, ever fail at anything. But when you do that, you miss out on pretty much everything great. I’m done with mediocre. I’m ready for lots of awesome. I decided it was time to change things and invited some other bloggers to be bold with me. Yay Emily! I know you will come up with something great and I am so excited to see what it is!